Indian analysts closely watching and doing round-the-clock coverage of the July 25 polls should perhaps pop a chill pill. If diversity is a fact, inclusion is a choice. And this is one fact that India and Pakistan, both divided by a bitter Partition, have as a common thread running through the heart of their respective polities. While it's the leadership of a country that is primarily responsible for promoting inclusion, both Indians and Pakistanis find themselves looking at leaders who, sadly, talk more about polarising than embracing diversity. As Pakistan gets ready to vote on July 25 amid a bitterly fought battle for supremacy mired in controversies, alleged military meddling, ISI interference and a complete mockery of democracy, across the border, India is busy pointing out how Pakistan shouldn't fight elections. If only the leadership (or the lack of it) in both countries cared to listen to what the people want, rather than imposing a forced narrative of their own. If you're going to call yourself a diverse nation, you have to embrace a more diverse cross-section of people. And in doing so, you also will have to embrace a more diverse cross-section of opinions. But not everyone is ready to listen. And listen we must, to this song — Hum Dekhenge — in an all-new video. Coca-Cola Pakistan announced the return of Coke Studio, for its 11th consecutive season with the opener, Hum Dekhenge, celebrating the message of "unity, hope and peace" through the words of the most celebrated and yet revolutionary poet of Pakistan, Faiz Ahmed Faiz, with the voice of over 70 talented artists breathing new life to the eternal anthem of protest — a "song, sung by the people of Pakistan, for the people of Pakistan". The song, written by Faiz in 1979, has its own unique history. 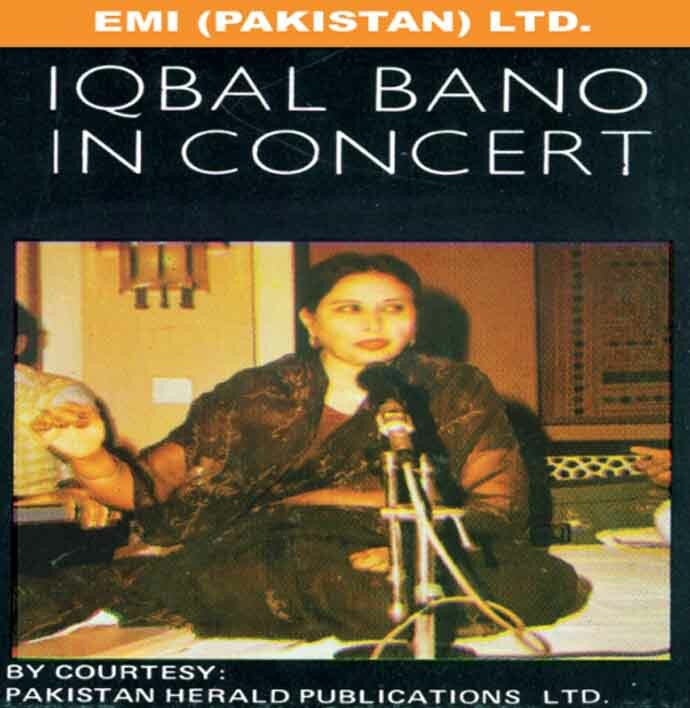 In 1985, renowned singer Iqbal Bano gave new meaning to defiance and made Hum Dekhenge a symbol of resistance as she sang it in front of an audience of nearly 50,000 people at a stadium in Lahore. As part of General Zia ul-Haq’s military regime and its forced Islamicisation, the sari, part of the traditional attire that Pakistani women wore, was banned at the time. Bano during her performance, wore the same banned attire — a black sari (the colour black was a mark of protest) — and chose to register her protest with a song written by a poet who too was banned by Zia's regime for his "close ties" with Zulfiqar Ali Bhutto. While Bano became a cult figure with that performance, "Hum Dekhenge (We will see)" became a symbol of resistance in Pakistan. The current season of Coke Studio, which is set to take off in August, intends to bring together a musical fusion of diverse influence, ranging from traditional eastern, modern western and regionally inspired music. Producers Ali Hamza and Zohaib Kazi have "gone the extra mile to ensure that all of Pakistan is represented in its true essence", is how The Express Tribune described the effort. "...a track which inspires the ‘Pakistaniat’ in all of us – there couldn’t be a better choice for a track than Hum Dekhenge – a song sung by the people of Pakistan, for the people of Pakistan,” the duo was quoted as saying in a joint statement. And true to their word, "Hum Dekhenge" is more than that regular dose of romanticisation of diversity. From the queen of Sufi mystic singing, Abida Parveen, and Pakistani legend Attaullah Khan Esakhelvi, to upcoming talents such as Rachel Viccaji and Elizabeth Rai to traditional bhajan singer Vishnu (of Shamu Bai and Vishnu fame) to the transgender duo of Lucky and Naghma — Hum Dekhenge has everyone singing in "one voice, one spirit for one nation". On July 25, Pakistan will vote in an election that would be the second ever democratic transfer of power in the nuclear-armed country. In its seven-decade history — almost half of it under military rule — the country experienced its first democratic transition of power in 2013, when the Pakistan Muslim League-Nawaz (PML-N), led by now incarcerated and ousted PM Nawaz Sharif, emerged as the single largest party. But it's not the outcome of the coming elections that will define the future of Pakistan, or which form of government Pakistan needs, or what kind of leader Pakistan deserves. What makes a country great is its people, and the people of Pakistan, like those on the other side of the border, deserve much better.